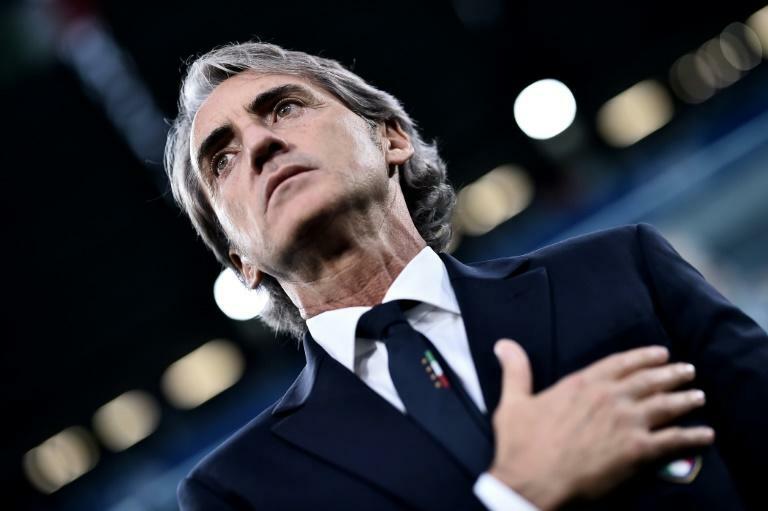 Italy coach Roberto Mancini has called on the coaches of Serie A squads to give younger players more playing time as he embarks on a program to relaunch the Azzurri after they missed the 2018 World Cup. "There have never been fewer Italians playing the game," Mancini told a press conference on Monday. "This is a low point." Mancini has called up 31 players for his Nations League squad for games with Poland on Friday and Portugal on Monday. But Mancini bemoaned the fact some of his squad are wasting their talents by sitting on the bench. In Mancini's squad are five uncapped players including Monaco's Pietro Pellegri, 17, and Roma's Nicolo Zaniolo, who is 19 and has yet to start in a Serie A game. "At 19 years old if you are a good player you have to be playing. We have a lot of interesting prospects who need playing time to show their worth," said Mancini. "In other leagues they're not afraid to play 18-19 year-olds. We need to show more courage and trust them more. "We are sending the message that we believe in good young players who can take things to the next level, we just need to see them on the pitch," he said. "At this historic moment there are not many Italian players playing on a consistent basis. Because of this, we have included many young players to increase the number of players so we can get to know them better."